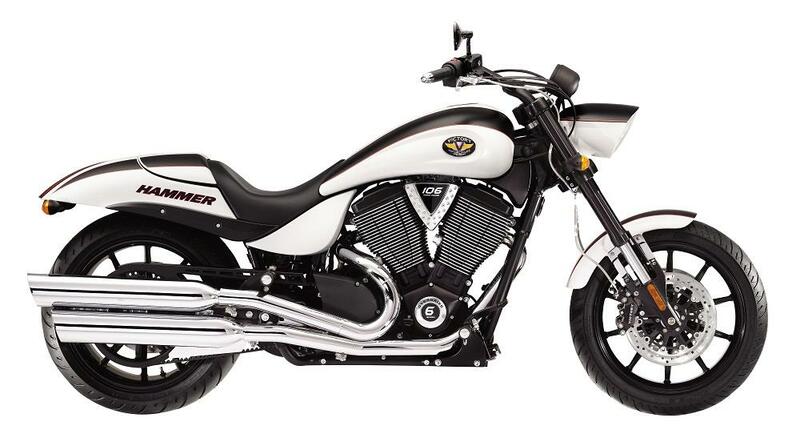 Earlier this week, MCN revealed that Victory Motorcycles were to cease production immediately. Founded 18 years ago, a lack of global sales forced parent company Polaris to pull the plug in the operation. Join us as we count down the three best bikes Victory ever produced. The Victory Hammer S was launched in 2007. One of the showiest performance cruisers on the market, the Hammer S boasted a slightly sportier stance than the £500 cheaper standard bike and was littered with premium touches, including Performance Machine Gatlin wheels. Despite wearing a massive 250-section rear tyre and being a fairly weighty beast at 298kg, the Hammer S had surprisingly good handling for a cruiser and this was only complemented by its engine. The ‘Freedom’ V-twin was a peach, producing 88bhp and 110ftlb of torque. The suspension and brakes (Brembos coupled with steel lines) were also better than anything being offered at Harley-Davidson at the time and a flush tail light and lashings of black chrome helped create a real custom feel. Would you buy this Victory Hammer? 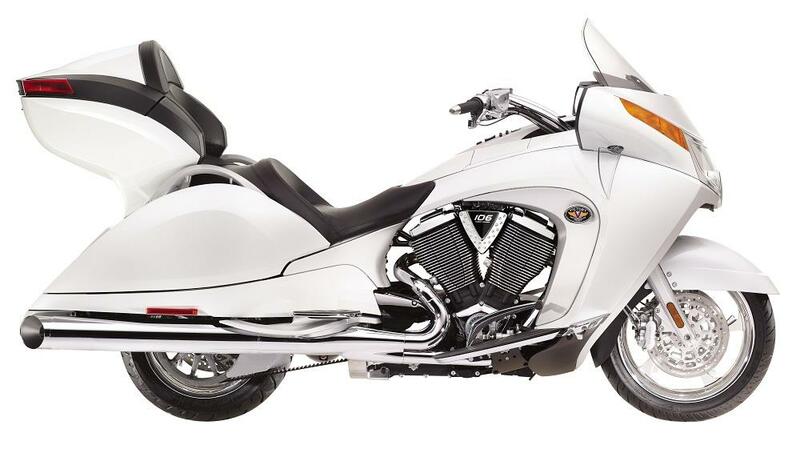 With a face that only a mother could love, the Victory Vision Tour was one of the quirkiest bikes on sale in recent years. Sharp edges combined with sleek lines meant the Vision looked like something out of a science fiction film. That aside the Vision Tour was a fantastic mile-muncher. Its 1731cc V-twin lump produced 92bhp and was the biggest engine Victory had ever used. Loaded with enough tech to keep you entertained on any long journey, the bike came fitted with a decent stereo, iPod connectivity, heated grips and heated seat. Lovely. It was a top-of-the-range touring bike, which outclassed the Harley-Davidson Electra Glide in both look and feel and was also considerably cheaper than Honda's GL1800 Gold Wing. Much like the Hammer S, this bike handled itself surprisingly well and far better than it should have done. Plush suspension ironed out the creases of the road and prevented the bike pitching and rolling, despite its enormous mass. Engine: 1731cc 8v air-cooled 50° V-twin. 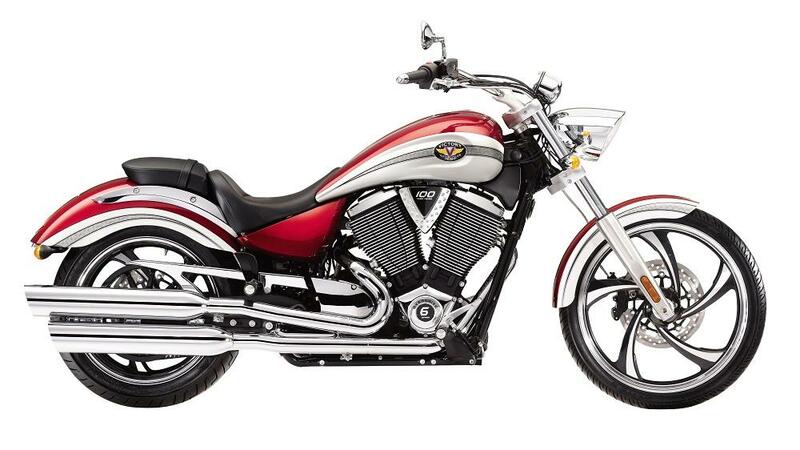 Launched in 2003, the Victory Vegas was a beefy 1634cc chopper-style V-twin. American-made and American-styled, the Vegas offered a level of sophistication that set it apart from more agricultural muscle cruisers of the time. Perhaps the ‘sportiest’ bike listed here, there was a good level of ground clearance and it remained perfectly happy dealing with spirited riding through corners. Once out of the bend, the lumpy engine offered a surge of power and impressive acceleration by any bike’s standards. With relatively little weight to shift and a 106ftlb of torque on tap the Vegas was huge fun when you showed it a handful of right wrist. There was rarely a need to change gear either, as the motor produced more than enough grunt almost anywhere. If any of these bikes have inspired you to buy your very own Victory, visit MCN Bikes For Sale website or use MCN's Bikes For Sale App.